There is an old adage that weddings are made in heaven. But they are implemented at some exotic places on earth such as Agra. The abode of the Taj Mahal, Agra is the beautiful place to enjoy memorable days of life. Thus, several couples have started their journey of married life by organizing their weddings in Agra. The abode of three UNESCO World Heritage Sites (The Taj Mahal, Fatehpur Sikri and Red Fort), Agra is surely one of the major tourist destinations in India as well as in the world. The city covers an area of 189 square kilometers in the State of Uttar Pradesh. Agra is located on the banks of sacred Yamuna River and 200 km away from the capital of India, Delhi. To add to its features, the city is also counted among the best places to walk a new step in the life of upcoming married couple. Weddings in Agra are always being a special event for the people of the country. Wedding Planners in Agra will book a perfect wedding venue on behalf of you. If you have planned your wedding a luxurious one, then 5 Star Hotels in Agra would be better option. Some of them are Hotel Clarks Shiraz, Hotel Agra Ashok, Taj View Hotel, The Trident Hotel, Hotel Jaypee Palace and Amar Vilas - An Oberoi Resort. These deluxe hotels carry all the modern facilities that are required for a perfect marriage event. They provide perfect sitting arrangements to your guests, without any hustle and bustle. 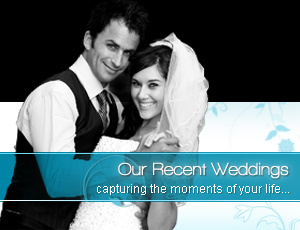 Agra Wedding Planner is the professional in organizing everything for your marriage. Decoration of the venue, flower arrangements, photographers or videographers, catering and shopping, all are being done by him. Moreover, the wedding organizer also guides you to make a wonderful trip of major tourist attractions of Agra. Of course, you have listed Taj Mahal and Fatehpur Sikri on the top, but there are some other destinations as well, like Jahangir Palace, Sheesh Mahal, Tomb of Itmad-ul-Daulah, Dayalbagh Temple and Nagina Masjid.